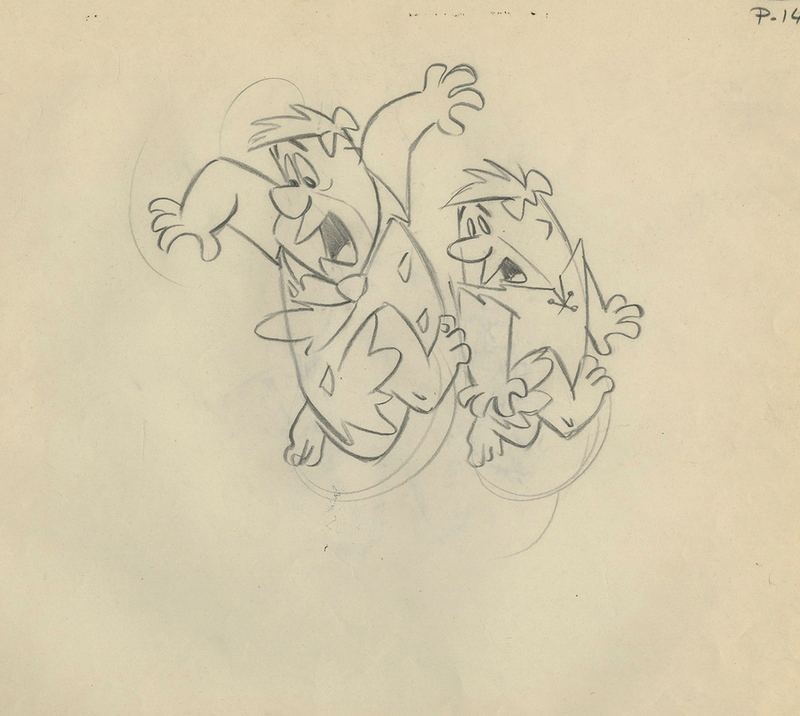 This is an original layout drawing from the Hanna Barbera Studios production of the 1965 episode of The Flintstones entitled, Samantha. 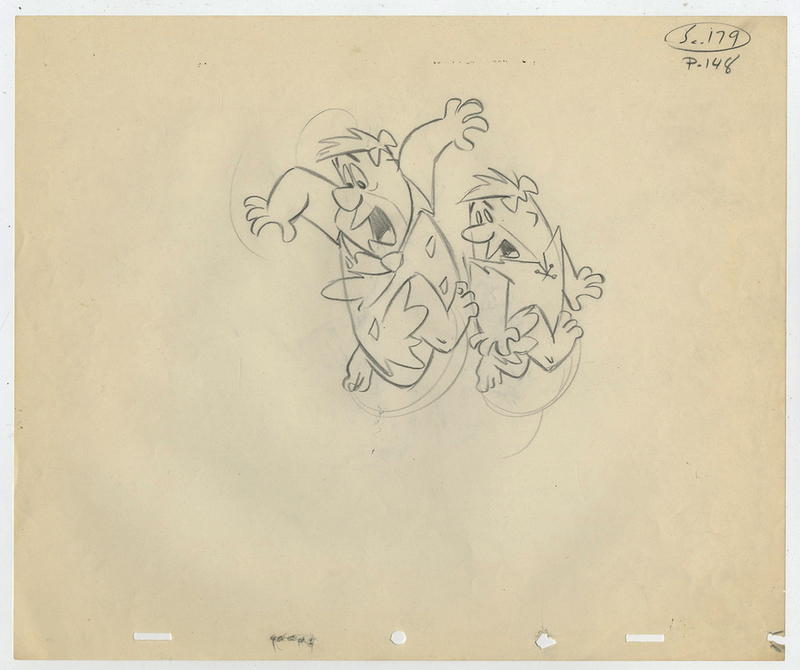 This layout drawing features Fred Flintstone,Barney Rubble and was created at the studio and used during the production of the episode. The overall measurements of the piece are 10.5" x 12.5" and the image itself measures 5.5" x 6". The drawing is in good condition overall with minimal edge wear.